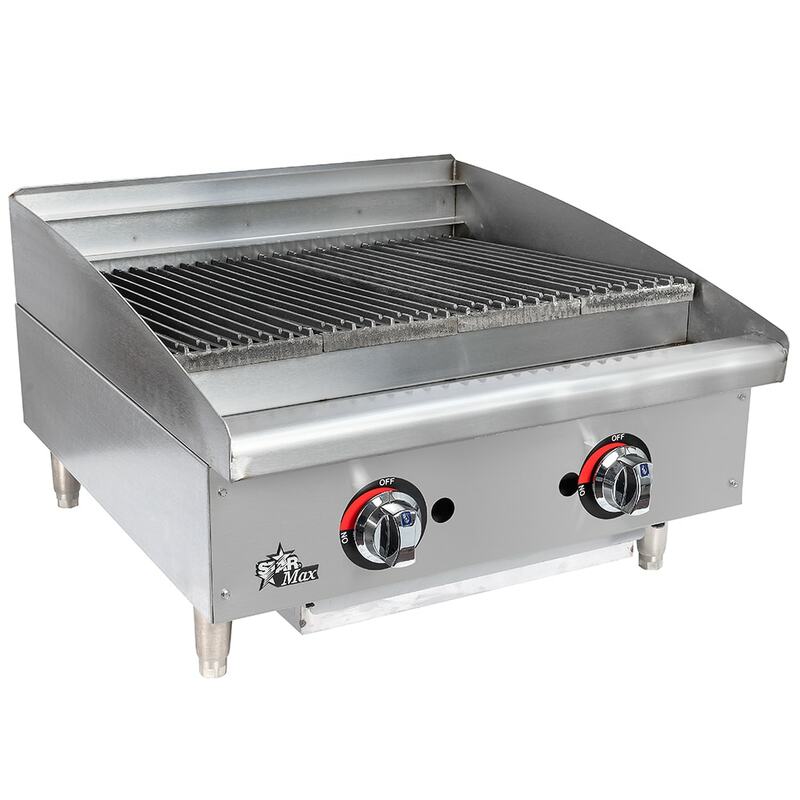 The Star 6124RCBF Star-Max® gas charbroiler has two H-style burners across the 24-inch cooking surface. Two heavy-duty control knobs let the operator independently adjust the intensity of the heat for each 12-inch section. 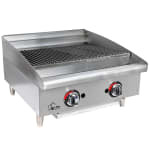 Made up of 6-inch grates, the broiling surface accommodates a large capacity of product and adjusts to flat or inclined positions. They can be used on the thin side for searing or reversed to the thick side to cook delicate items. Protecting the operator from burns, the bull-nose front on this Star 6124RCBF Star-Max gas charbroiler stays cool to the touch. 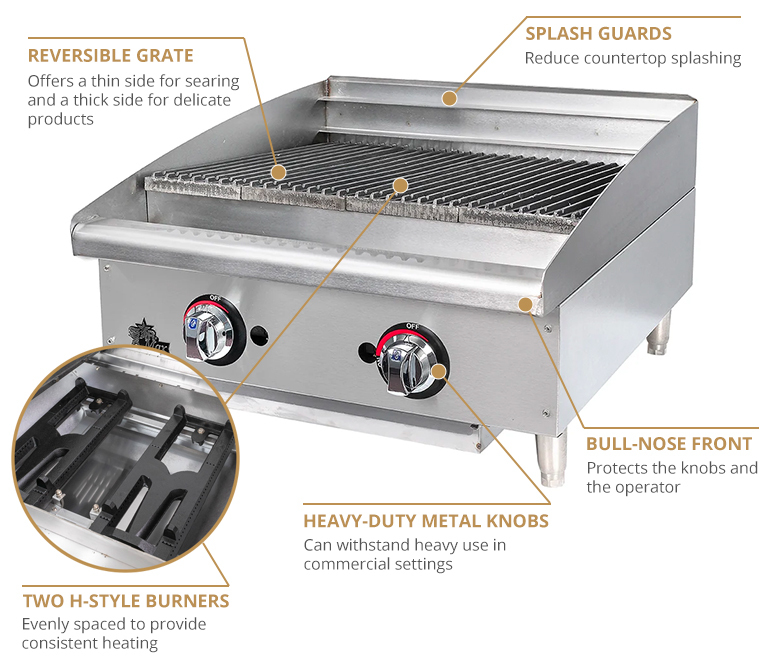 For in-depth information on charbroilers, visit our charbroilers buyers' guide.